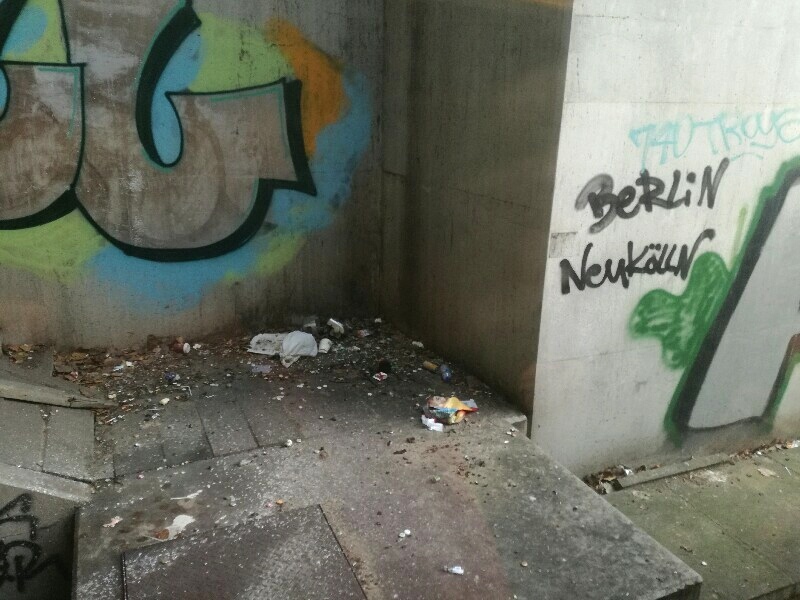 Having lived in Neukölln a few years I can confirm that it is in many areas a dirty place. A part of me feels it adds to the charme and undergroundy authentic vibe of the more and more hip district in the South West of Berlin. Another part is sad and angry that people chuck their rubbish everywhere disrespecting our environment. 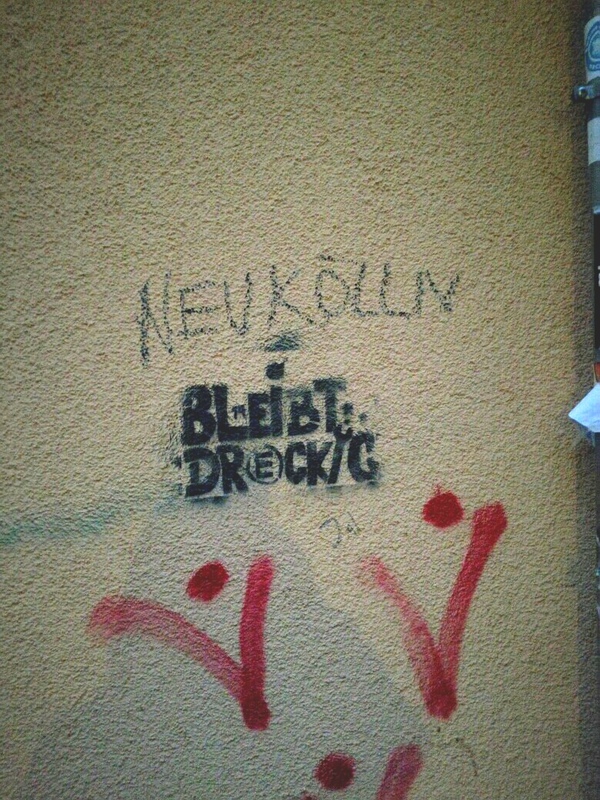 The writing “Neukölln bleibt dreckig!“translates as “Neukölln stays dirty!“ I see it occasionally written on walls in the city; sometimes with Berlin, Kreuzberg etc. instead of Neukölln. I understand it as a angry cry for people who are scared of gentrification which is “cleaning“ up more and more areas and making the rents go up and up and thus taking away the home districts aka Kieze of people who cannot afford to live there any longer. The question is if these writings will in any way stop the gentrification or if it adds to the area being seen as cool and undergroundy and therefore attracts even more rich, boring people who want to feel cool and undergroundy. 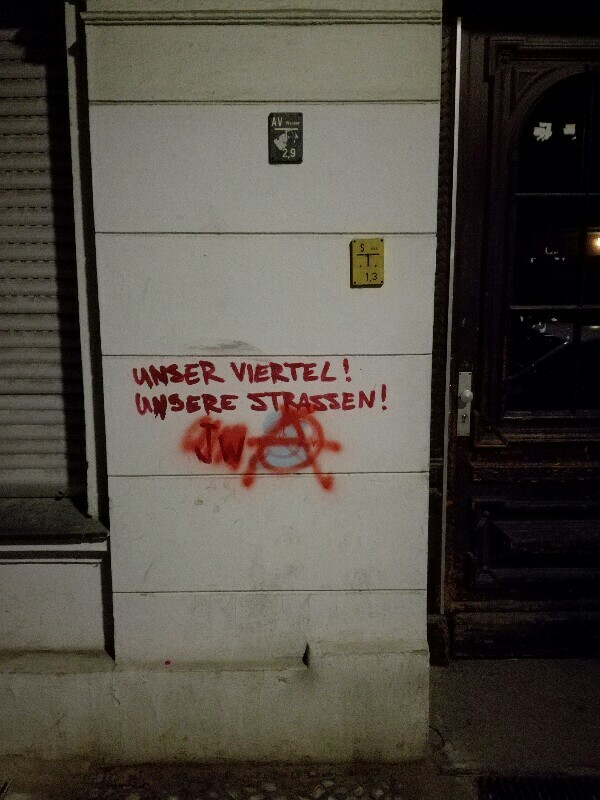 This entry was posted in Berlin, culture, Neukölln, photography, society, street art, street photography and tagged Berlin, culture, Germany, Neukölln, society, street art, street photography, urban. Bookmark the permalink. See the sea horse ?